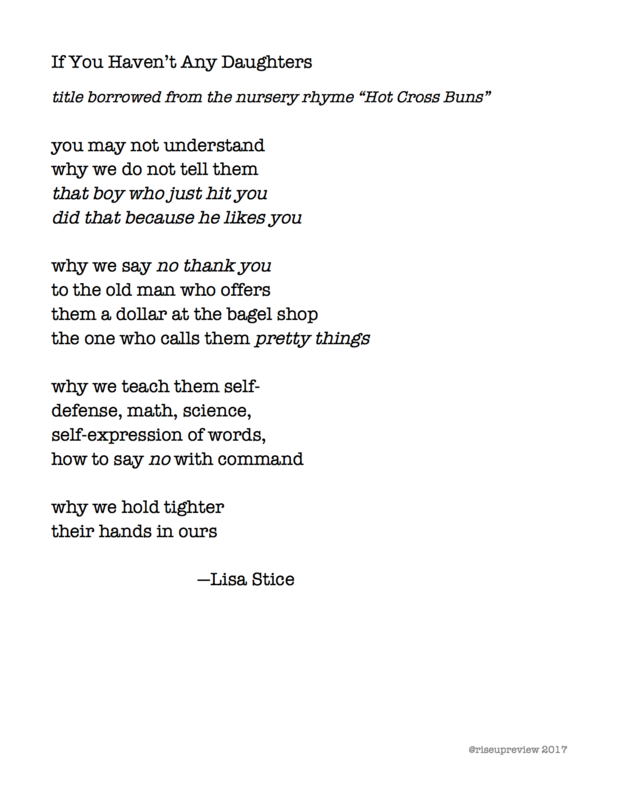 Lisa Stice is a poet/mother/military spouse who received a BA in English literature from Mesa State College (now Colorado Mesa University) and an MFA in creative writing and literary arts from the University of Alaska Anchorage. She currently lives in North Carolina with her husband, daughter and dog. She is a Pushcart Prize nominee and the author of a poetry collection, Uniform (Aldrich Press, 2016). You can find out more about her and her publications at lisastice.wordpress.com and facebook.com/LisaSticePoet.